We created Velociteen to help change the common stereotypes that overshadow the true identities of teens. Our main goal is to reach out, support, and help teens worldwide to improve the welfare of our generation. This organization is not run by only one person. There are many people who help put our website together. 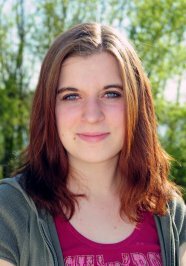 Throughout the three year history of Velociteen we have had many teen and young adult staff members, ranging in age from 10 to 26, helping to coordinate projects and innovations within our website. These people, along with our visitors, help keep our website standing. Thank you for all of your help, and we appreciate your support. We have gotten a lot of questions as to what our name actually means and how it was derived. The name "Velociteen" is derived from the words "teen" and "velocity". Velocity equals the rate of speed. With that being said, the adolescent years go by fast, but they seem to last forever. Basically, we named our website "Velociteen" to describe the velocity of your life as a teenager. 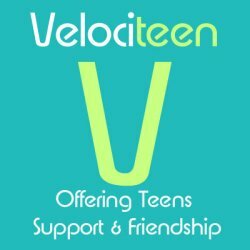 Velociteen offers advice, support, and guidance to teens around the world. We want teens to exercise their freedom of speech. We also offer ways to help make a difference online, in your community, and throughout the world. Our team of trusted teens truly care about easing your transition through the tough turnpike of "Teendom". Our staff of teens from around the world are experiencing the same challenges and changes you are coping with daily. However, our staff is not trained to handle serious situations. If you require medical advice, we advise you to seek the counsel of a physician or qualified professional. Being a teenager is the hardest stage of life: school, crushes, drugs, dating, peer pressure, hormones, and stress can all lead to the pitfalls of a teenager's life. Velociteen is a place where you can anonymously vent your feelings without the fear of being judged. We allow you to exercise your freedom of speech to share your feelings and seek help from other teens and young adults who face the same daily challenges. At Velociteen, we care about all of our visitors and volunteers. You are the future.